Hydraulics are used in many ways. Most of them are used everyday and not even thought about. The red arrows on some pictures show the place where hydraulics are used. Car brakes work when you push the brake pedal, it pushes the small piston. 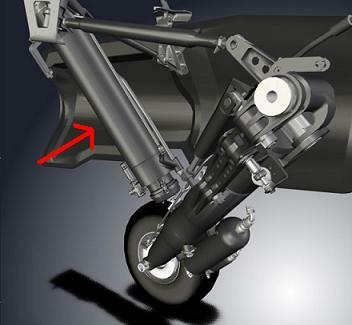 The piston applies pressure on the brake fluid, which press the brake pads on the large pistons. The brake pads come into contact with the brake drum and slows the car down, eventually stopping the car. Airplanes and jet planes use hydraulics in many places. 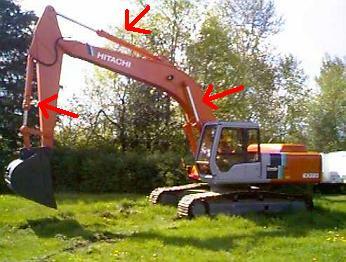 Heavy equipment use hydraulics very obviously. There is very little limit to their power.